Littlest Pet Shop Say Ahh to the Spa Style Set Only $9 + FREE Prime Shipping (Reg. $15)! You are here: Home / Great Deals / Amazon Deals / Littlest Pet Shop Say Ahh to the Spa Style Set Only $9 + FREE Prime Shipping (Reg. $15)! I’ve got another awesome LPS deal for you and your Littlest Pet Shop fan! 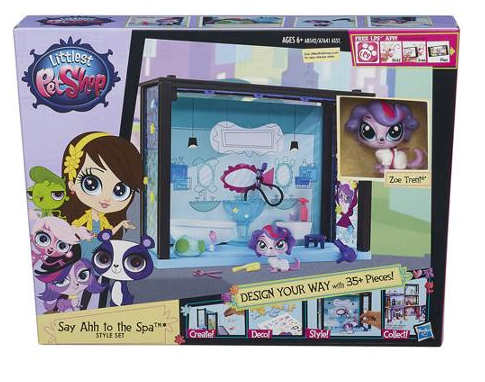 Right now you can snag this Littlest Pet Shop Say Ahh to the Spa Style Set for only $9 (Reg. $15)! Plus, FREE 2-Day Shipping is available with Amazon Prime or FREE with orders of $35 or more (sign up for a FREE 1 month trial here)!